It was always a bit disappointing to me to find when I ventured abroad that the American Cheese that I had grown up on was known in England and Ireland as ‘processed cheese slices’. It makes sense when you consider how diabolically poisonous Kraft American Cheese tastes, but it’s also made me want a little more out of my cheese. 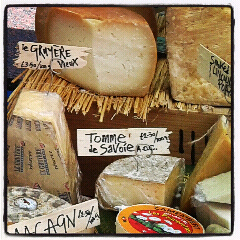 Thankfully, I’ve recently found the saviours to any and all cheese crises: The Dark Knights of Cholesterol. 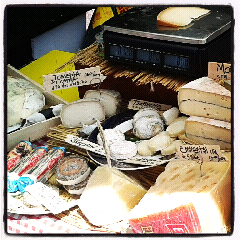 I first discovered ‘Ian and Gian’ of Fratelli Formaggio a couple weeks ago at Hackney Homemade Market and was overcome by their selection, their general amiability and their willingness to serve you up as many tastes of as wide a variety of their cheeses as possible. 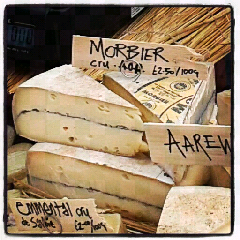 On that visit, I picked up a mild, creamy honeyish cheese from the Emmental Valley near Bern, called Aarewasser and spent several mini-eternities savouring the beautiful flavour. 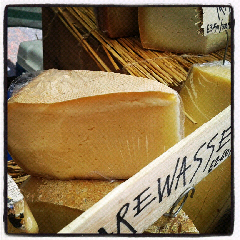 The only difference with yesterday’s visit was the location, the Chatsworth Road Sunday Market, and my choice of cheese. Again, John, one half of the Dark Knights, was only too eager to provide me and the patron next to me with taste upon taste of cheeses ranging from sensationally loud to subtly beautiful and one that was creamy, ripe, and apparently illegal in several countries. 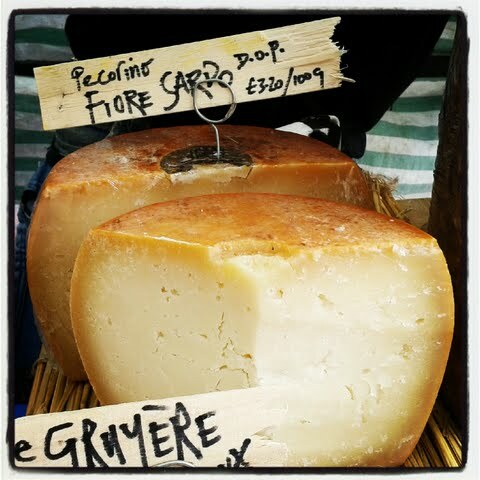 I was most impressed this time though with an 18 month old pecorino from Southern Sardinia, with a lovely texture and hints of smoke and nuttiness that kept hitting the tastebuds minutes after savouring. 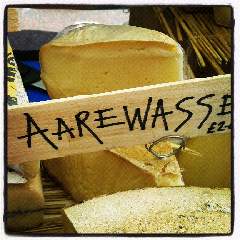 These guys have a knack for sourcing magnificent cheese and bringing it to the markets of Hackney. Long may they continue to do so. 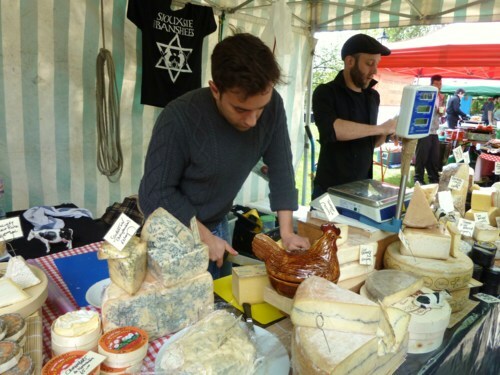 You can find these guys and their delicious dairy merch behind St. John’s Church and beside The Narrow Way at Hackney Homemade all day on Saturday and on Chatsworth Road Market all day Sunday.